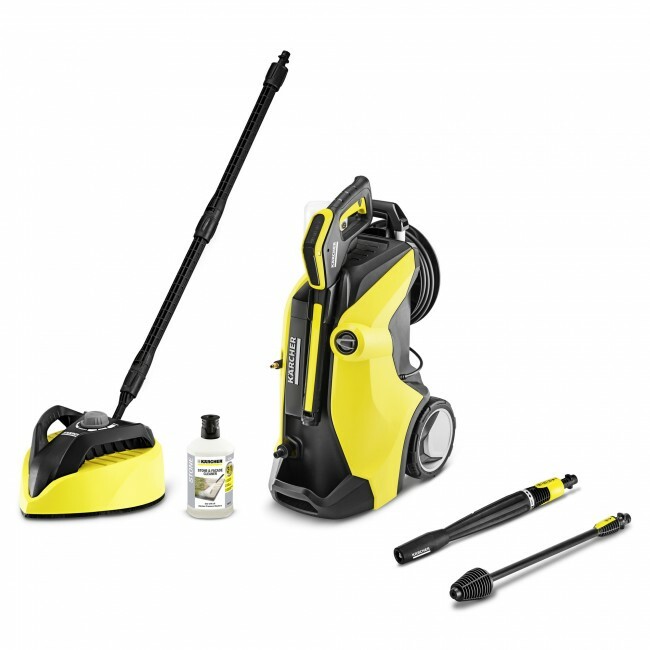 The K7 Premium Full Control Plus Home model will help you tackle any cleaning task around the home in the quickly and easily. Its long-life water cooled motor comes with a five year warranty. 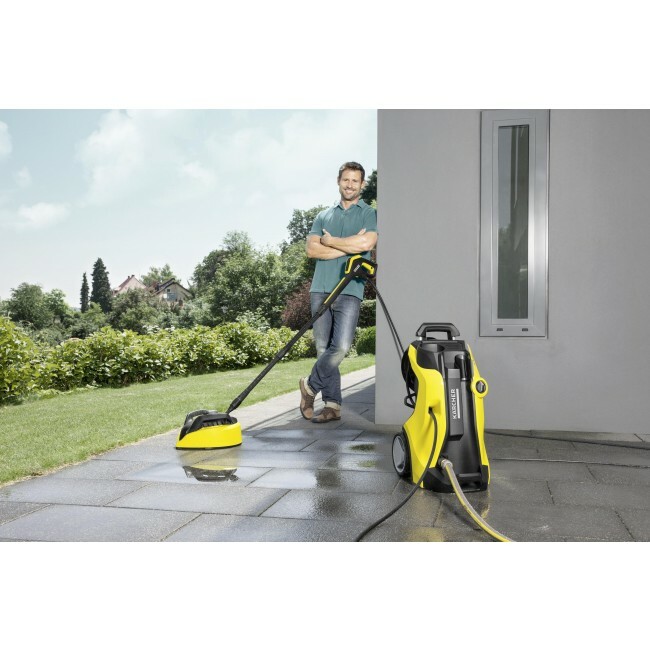 The K7 Premium Full Control Plus Home pressure washer is the most powerful model in our range. 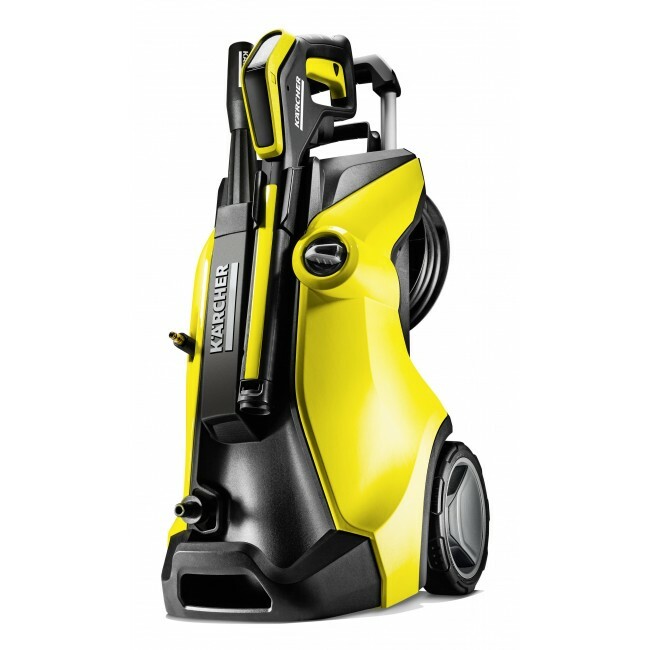 Whether you need gentle cleaning or the power for a tough job, the K7 will get the job done in no time. The new full control system will guide you to the pressure setting you need for your cleaning task, so you can have complete confidence you are using the right pressure for your cleaning task. Simply choose the correct spray lance using the surface symbols as a guide. The LED display on the trigger gun will then guide you as to the pressure setting you are on. Simply twist the vario power spray lance to move up and down the pressure levels. 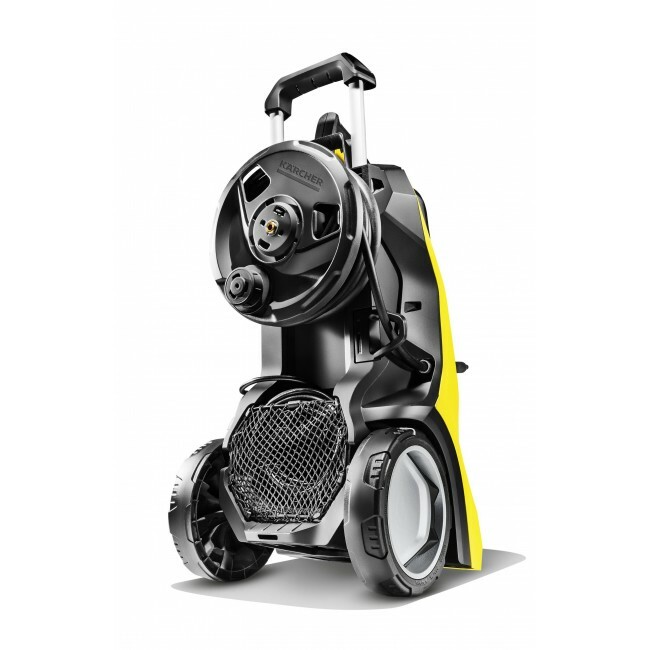 The hose reel on the back of the unit automatically unwinds as you pull on the high-pressure hose, helping to prevent twisting in your hose, this combined with the hose guidance system makes this pressure washer extremely simple to use. This also makes for a compact and neat storage solution, you can simply wind the hose back onto the hose reel when you are finished. 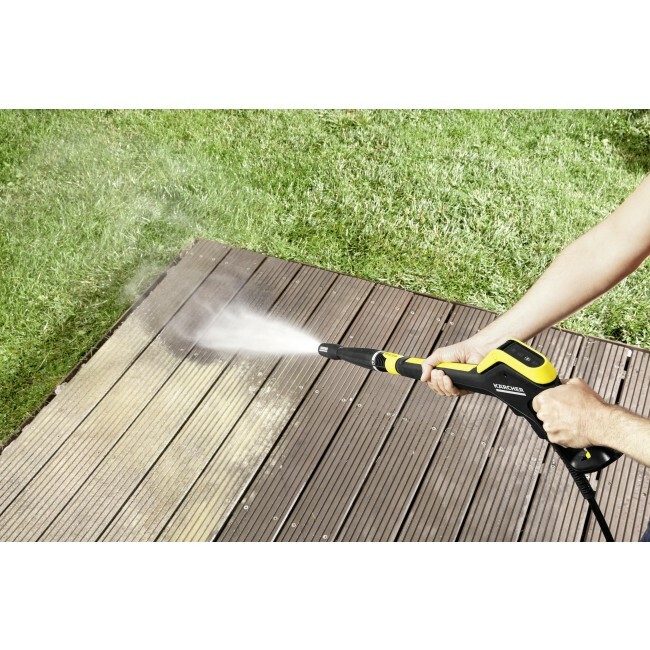 The additional home kit comes with a T450 patio cleaner, which enables you to clean smooth surfaces and loose stones, as well as deep into the corners and a 1L bottle of stone detergent. 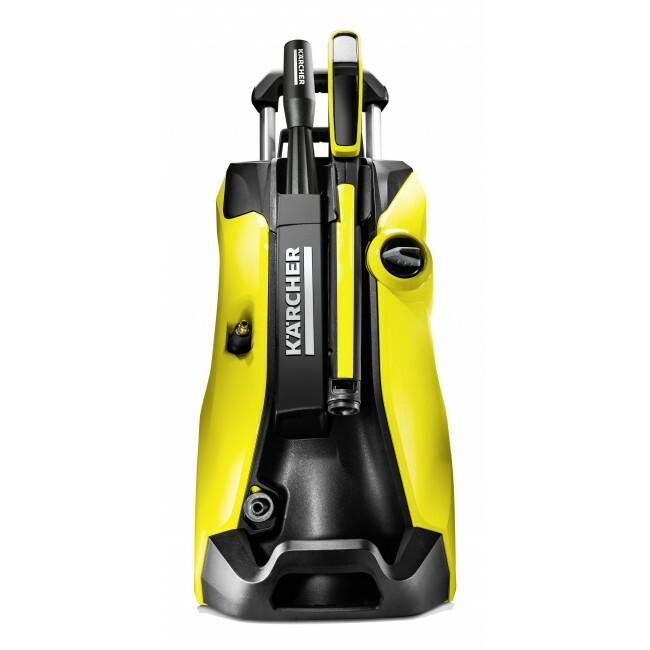 The brand new Full Control Plus range from Kärcher puts all the control in your hands. The possibilities are endless from children’s toys to patios and decking, you will be amazed by the outstanding cleaning results. 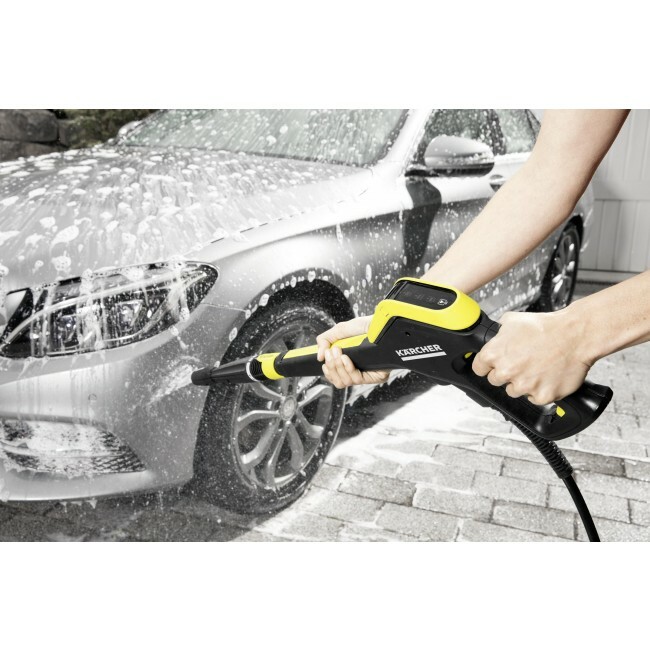 The Full Control Plus trigger gun comes with a single multi-jet spray lance, this means you can clean everything you set out to clean and more with the single spray lance. There is no need to change. Simply adjust the pressure to suit your cleaning task.